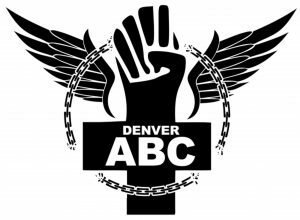 Here we present the first half of the Former Prisoner Panel of the 2016 North American Anarchist Black Cross Conference. 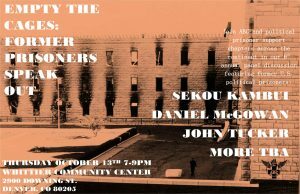 During the hour, you’ll hear words from Sekou Kombui, Daniel McGowan, John Tucker, Kazi Toure. These speeches will be prefaced by some brief introductions, the texts of which can be found below. John was one of five anti-fascists arrested in May 2012, after an altercation between white supremacists and antifascists in the Chicago suburb of Tinley Park that left ten injured fascists, three of which needed hospitalization. The case of the Tinley Park 5 received an overwhelming amount of public support. Despite the fact that the meeting was organized by violent white supremacist organizations including the National Socialist Movement, Council of Conservative Citizens, and Ku Klux Klan, the state showed their cozy relationship with white supremacy by refusing the accused antifascist activist bail or a plea deal comparable to any other criminal defendant in Cook County. In January 2013 the Tinley Park Five accepted a non-cooperating plea deal. John Tucker was released in February 2014. As of September 2014, all of the TP5 are released.This audio will air soon as a radio episode.